Equijet specializes in flying your horse domestic or internationally to arrive in top condition to horse shows, race tracks, polo tournaments or breeding farms. Our service includes airports-pickup and delivery, handling additional equipment, all necessary paperwork, customs and any quarantine needed. Lexington, Ky. – Mar. 25, 2019 – EquiJet, the premier domestic and international equine transportation company, is thrilled to be returning as a 2019 sponsor of the National Horse Show, which will mark the company’s second year partnering with the historic show. This year’s National Horse Show will take place at the Kentucky Horse Park in Lexington, Kentucky from Oct. 25 to Nov. 3, 2019, and EquiJet will proudly serve as the Official Equine Air Transportation Provider as well as a prominent supporter of the popular equitation weekend. 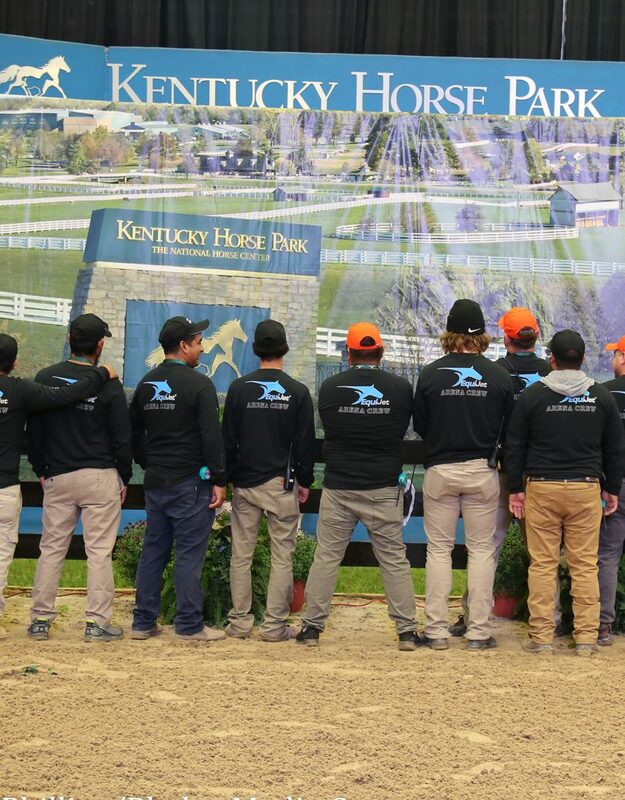 “The entire team at EquiJet is proud to once again be a part of the National Horse Show, now in a more prominent role. After the success of last year’s event and the amazing feedback we heard, it was a no-brainer to grow our sponsorship for the 2019 National Horse Show, and we are excited to be able to play a role in such a beloved competition and high-quality event,” commented Bastian Schroeder, founder and president of EquiJet. As the designated equine air transportation provider of the 2019 National Horse Show, EquiJet will support the equestrian community as it continues its mission of providing owners and riders with seamless top-notch domestic and international equine transportation. Additionally, EquiJet will reprise its role as a contributor to the equitation weekend that kicks off the horse show by providing all exhibitors with commemorative backpacks to remember the occasion. Known for its commitment to efficiency, horse safety and white glove service, EquiJet’s professional standards align perfectly with the National Horse Show, making the pair a perfect combination. “We are thrilled to have the support of EquiJet as our Official Equine Air Transportation provider. EquiJet was an important sponsor for the event last year, and we are excited to welcome them back to the National Horse Show in a greater role in 2019,” said Jennifer Burger, president of the National Horse Show. Founded in 1883, the National Horse Show is a staple on the equestrian calendar and the culmination of the east coast summer competitive season. For six consecutive years, the National Show Hunter Hall of Fame has named the National Horse Show the Horse Show of the Year, and the event organizers plans to continue that tradition with the help of dedicated sponsors like EquiJet. With $716,000 in prize money offered, the National Horse Show has been designated a CSI4*-W event by the FEI, and will host the highly-anticipated $225,000 Longines FEI Jumping World Cup™ Lexington CSI4*. International Open Jumpers will compete for almost half a million dollars in prize money, while the top-rated hunter sections will vie for a total purse of $190,000. Taking care of every detail, EquiJet specializes in the transportation of horses both domestic and internationally. The team at EquiJet offers an all-encompassing service, including the flight itself, quarantine logistics and necessary paperwork, allowing owners and trainers to send their horses with peace of mind. With over two decades of experience in international shipping and an extensive network of transportation partners, EquiJet prides itself on making each horse’s travel – whether to a local show or across the world – as stress-free and comfortable as possible. EquiJet offers unparalleled customer service by horse people, for horse people. EquiJet is an international horse transport company. 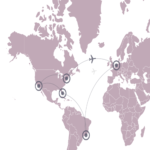 The EqiuJet team have mastered the service of international equine import and export, as well as domestic equine air travel. Together with our worldwide partners, we strive to make travel the easiest and least stressful part of our client’s jobs. We offer a hassle free door-to-door service for all shipments and will organize everything necessary to get your horses from Point A to Point B in a proficient and safe manner. EquiJet specializes in shipping your horse domestic or internationally to arrive in top condition to horse shows, race tracks, polo tournaments or breeding farms. Our services includes airport pickup and delivery, handling additional equipment, all necessary paperwork, customs and any quarantine needed. EquiJet made an appearance at the Longines Global Champions Tour thanks to Michael Duffy! Congratulations to Michael and the Miami Celtics team..